This year NICE company has withdrawn old generation of ROBO motors. It was reliable and trustworthy gate automation. Learn everything about new, excellent series of sliding gate motors. Discover ROX motor ! 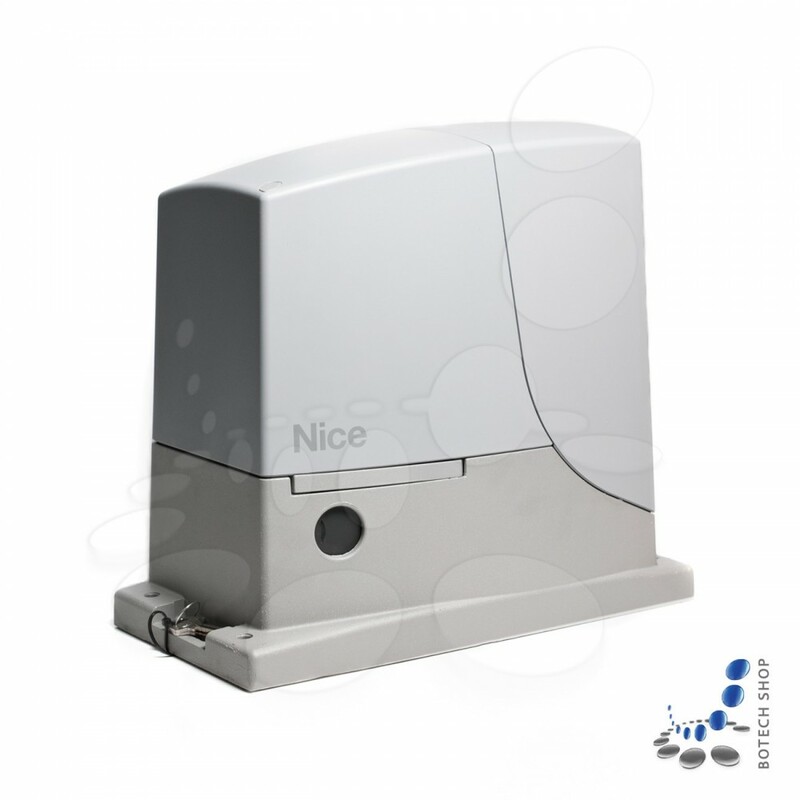 Do you need strong and accessible sliding gate opener ? Splendidly! NICE company presents the successor of popular, yet withdrawn, ROBO series. New automation has brand new advantages, but it is based on reliable solutions, friendly both for user and the installer. NICE company works on meeting customer demands by offering reliable solutions in accessible price. Compared to ROBO series those new gate operators contain strengthened aluminum body and more aesthetic, new designed casing. Openers have mechanic system, which enable manual control over the gate. It is especially handy in case of power outage or gate malfunction. NICE ROX can be precisely adjusted to user needs. Thanks to central ROA38/39 (modified ROA37) it is easy to program and adjust parameters of motor such as: work time, pause time, power and slide speed. ROX motors have upgraded central ROA38/39, which simplifies motor programming, but is not compatible with BlueBus devices. ROX series openers are self-locking, also thanks to slow-down function motor does not twitch at the start and end of movement providing safe and fluent work. ROX series is also an ideal solution for low traffic, housing estate gates. The maximal amount of cycles is 20 per hour, compared to old ROBO series it is a significant improvement! Built-in receiver has memory for 1024 FLOR, SMILO, ONE or NICEWAY (433,92 MHz) remotes. Next story BFT CHANGES – DISCOVER THE NEW REBORNED DEIMOS SERIES ! Previous story BLUE BUS connecting photocells was never that easy!